Read more about the update, the mutant hordes and the improved networking on the official Steam update post. Boy, this update took some time! You are now able to buy, sell and trade your precious loot with the friendly NPCs in an all new non-PVP area near the tutorial island. There are also new, exciting ways to die with the new conditions you can get from getting hurt or going to the wrong neighborhood. And that's not even everything! Read more in the Steam Announcement here. Point & click and improved controls. Player conditions like "Starvation", "Infection", "Bleeding" etc. 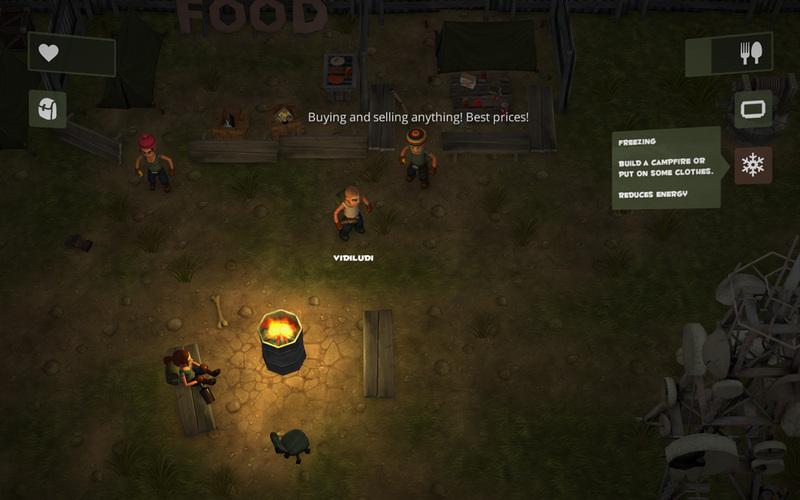 Friendly NPCs for: trading & repairing items. More special zones and content. 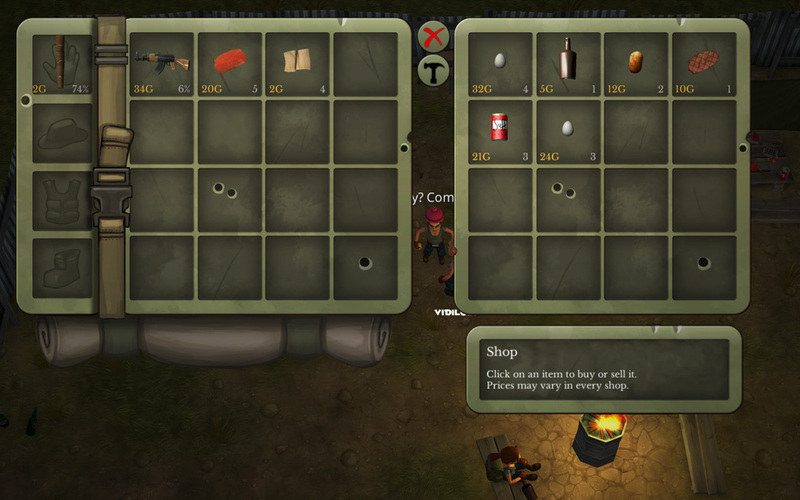 More items with special properties like bandages or pills. Can't find a car? Better visit Chandalen! 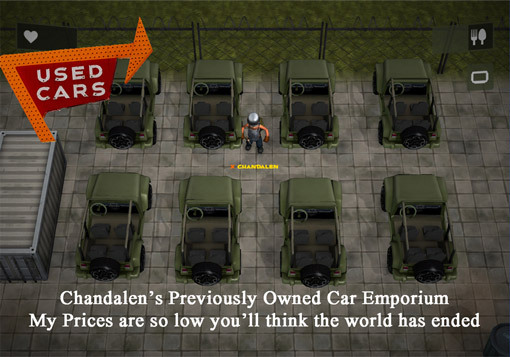 Today's update on Steam opens some fresh areas to explore including a dangerous atomic power plant and new cities. The old areas have been updated, too, with new houses and more NPCs. 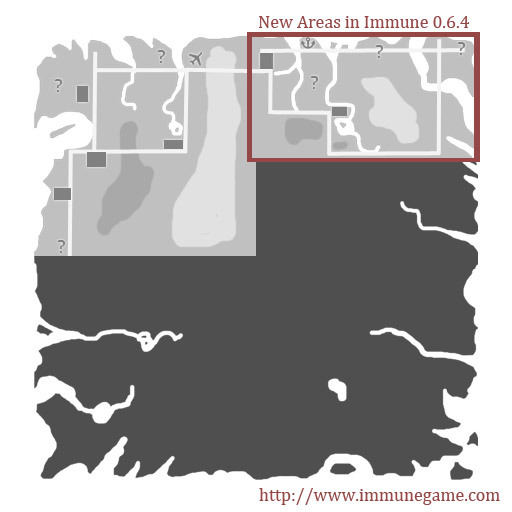 Immune's newly added areas on the world map. With today's update on Steam we changed and improved some controls after reading your great feedback in the Steam Community Hub of Immune. So now you just click on your target with your mouse and you will attack it right away. 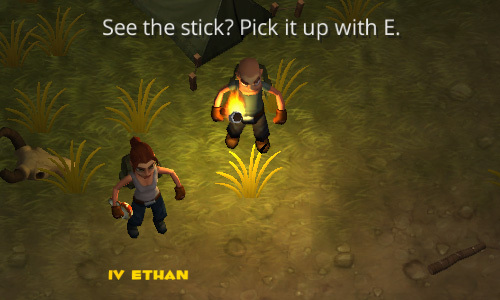 You also attack in your mouse direction if there's no target to make sure harvesting trees and resources is easier, too. Attacking with Space or the gamepad is still possible of course. There's a new auto target function which targets enemies in your range automatically for you if you press the attack button or Space. In this update we improved the building process a little bit and we also tried to create a better entry into the game by adding a new island for newbies. Improved building: you can now rotate the blue hologram with the right mouse button. New tutorial island for players entering a server for the first time. Added another hint for building. Improved local chat visibility and look. Reworked and improved female character. Improved car physics for the roughly estimated 3049234. time (please tell me if it's any better). Made pigs and sheep slower. Made some things more shiny. Fixed: Attacking with non-weapons-items had a shorter range than bare fists. Fixed: Trying to fire a ranged weapon without ammo could still damage/break it. Picture: Improved female model on Tutorial Island.